TGIF! 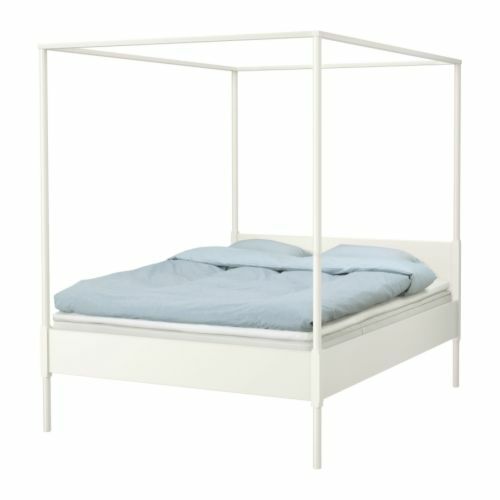 Inspired by the 4 poster bed from Monday's post, here's a great one from IKEA. The lines of this bed are so classic and clean that you can purchase this bed and rest assured that it will last you for many years. Here's the EDLAND bed frame for $299. An amazing price for ANY bedframe let alone a 4 poster one. If you have a large master bedroom or one with vaulted ceilings this is the perfect bed for you. It creates intimacy, coziness and a special place to rest. Enjoy your weekend and see you Monday!